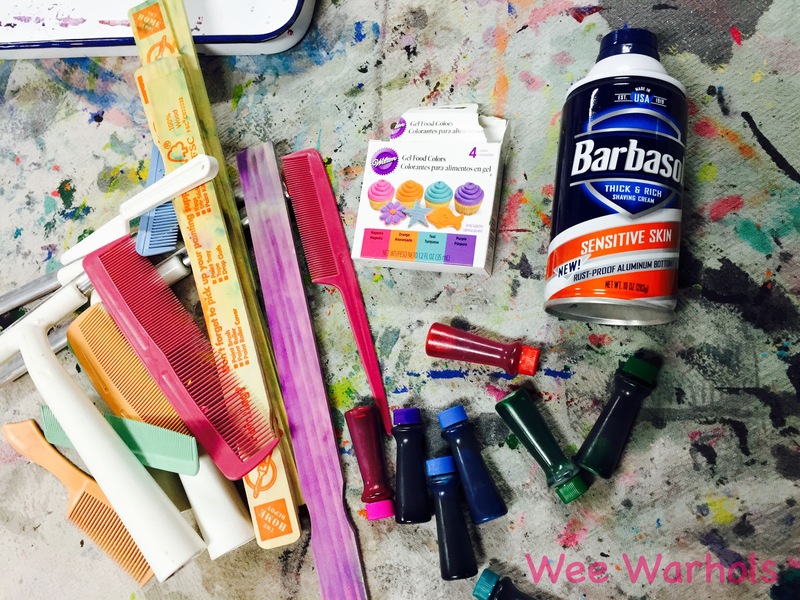 There are many ways and kits that you can buy to marble paper, but one of our Wee Warhols favorites is done with a bath product and color. 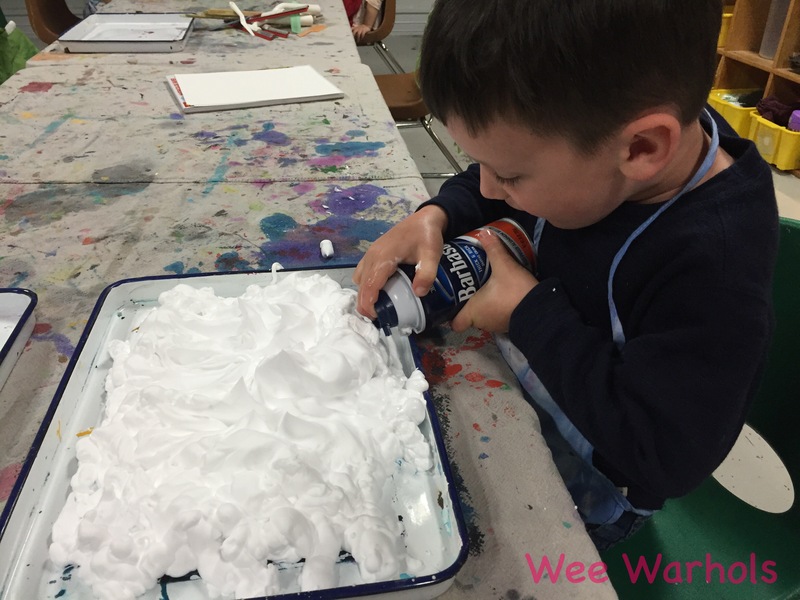 What child does not like to play with shaving cream? 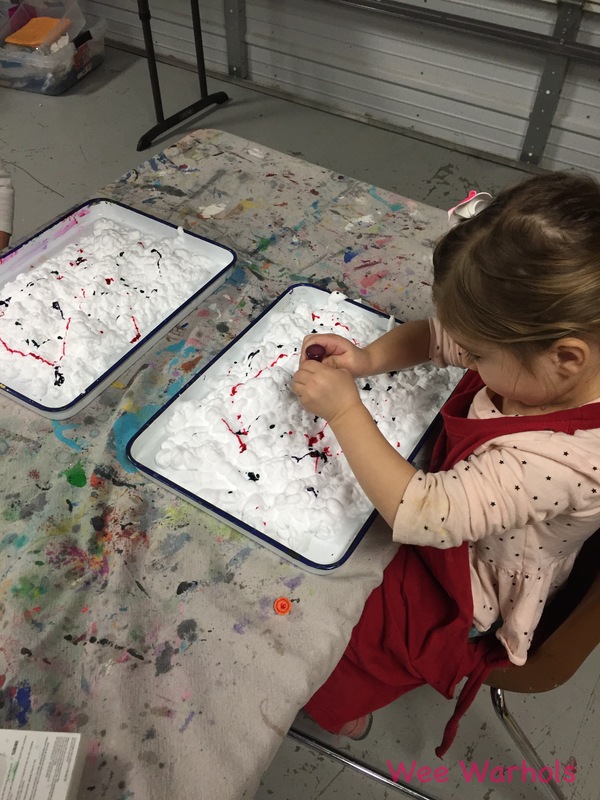 Well, I have met a few… but the majority of children love anything shaving cream related. 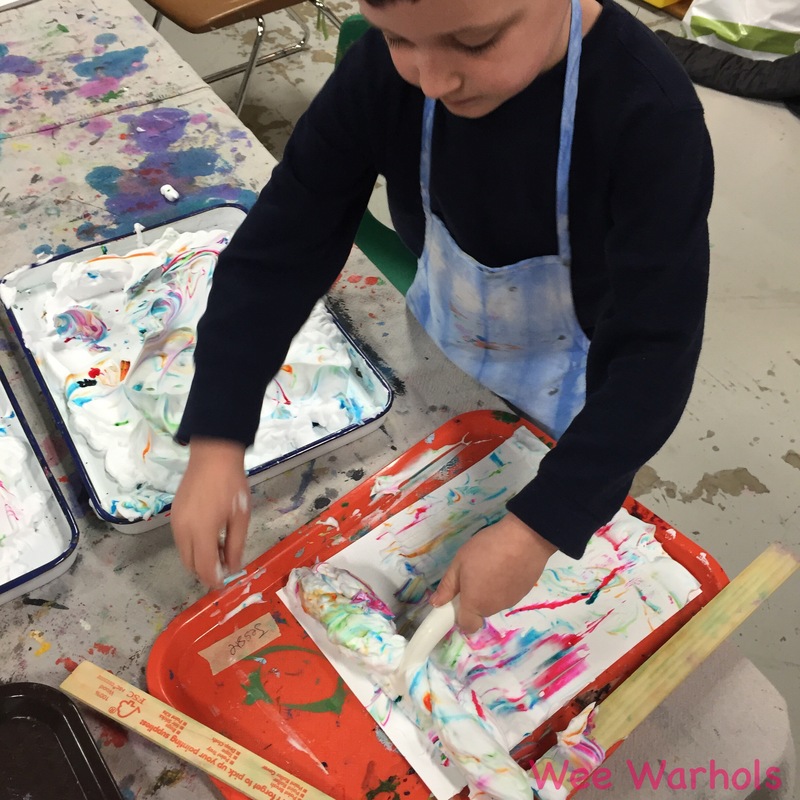 I’m going to give you a simple how to, so you can try this at home with your littles. 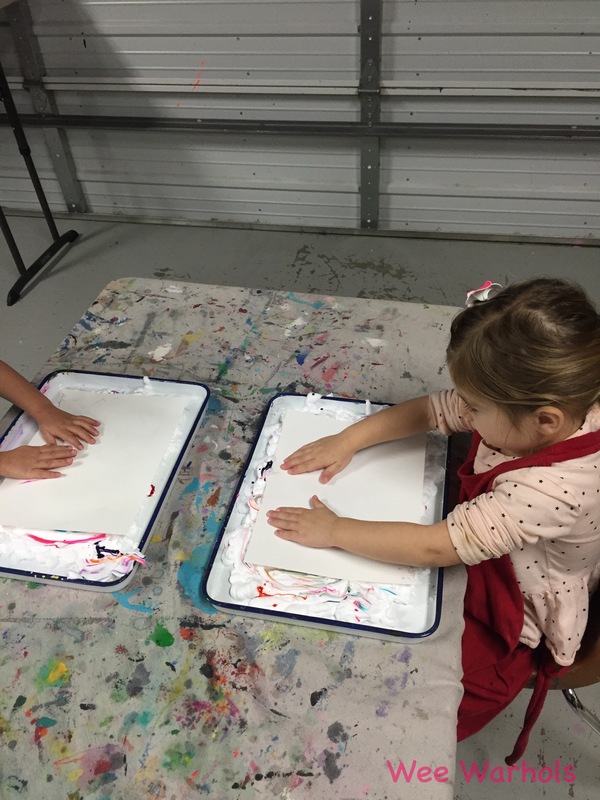 Fill the tray with a layer of foamy shaving cream. 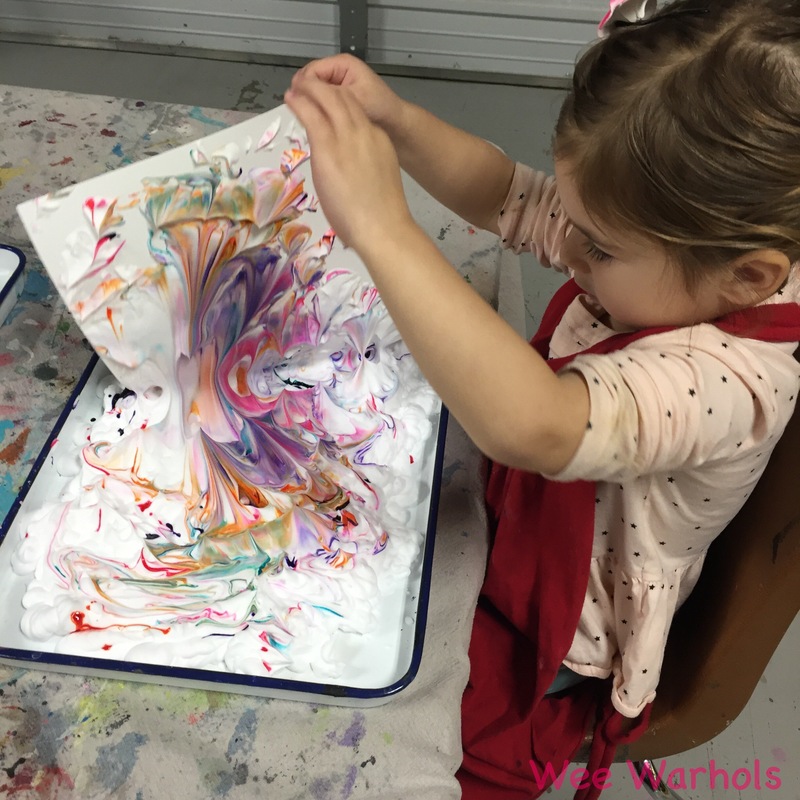 Drop a variety of colors of food coloring or liquid water color into the shaving cream. Swirl a bit with something to create a marbleized effect. Lay your paper on top and pat. Pull away and scrape clean. The color will remain. This project is so much fun and creates beautiful results. 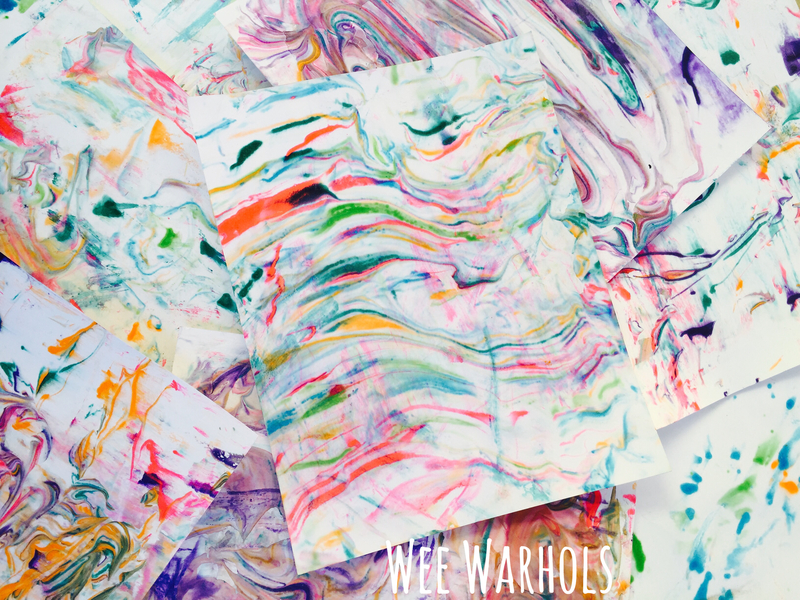 We were loving marbling paper so much that the Wee Warhols wondered, what else could we marble? 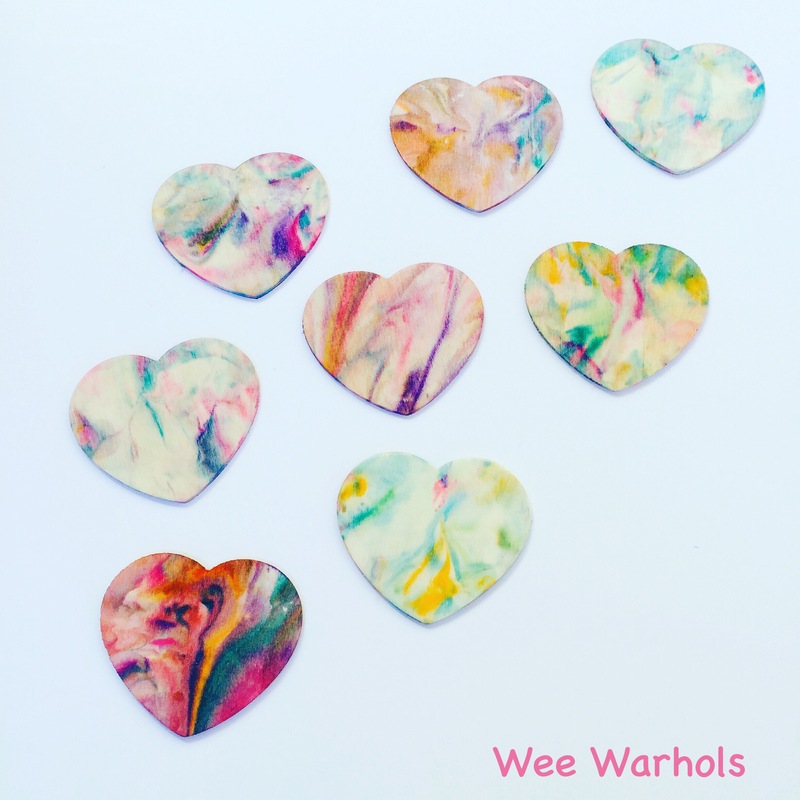 We did the same thing using wooden hearts and they came out great! What will you marble?